So Kat was right, I had a little preview and it was a game. Right now, because of severe food allergies, my almost 3 year old is on an elemental formula only. He can't take in anything but this formula. I am so glad I made this. I will be giving it to him on Valentine's Day in lieu of candy. Start with this template if you want to make it like mine. It took me a minute or two to get the arrows the same size as the hearts. 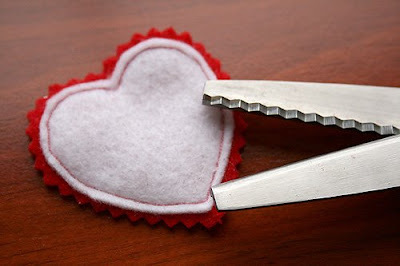 If you don't sew, you could do the same thing with papers and glue. 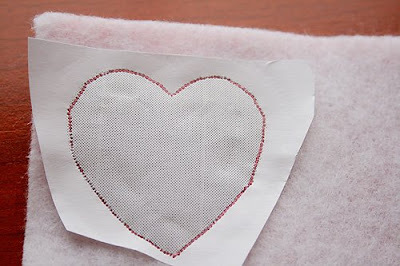 Starting on the hearts layer a white piece over the red. It is fun to have layers and contrasting colors. Put the template on top of that. 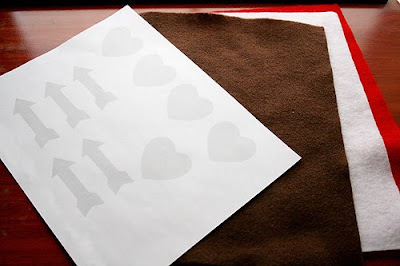 I actually ended up rough cutting each heart and arrow out. 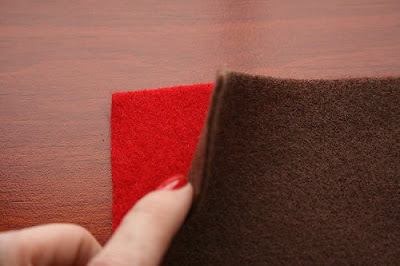 This is my favorite way to sew on felt. I do not own an embroidery machine like my sister and sister in law. So I came up with this way. 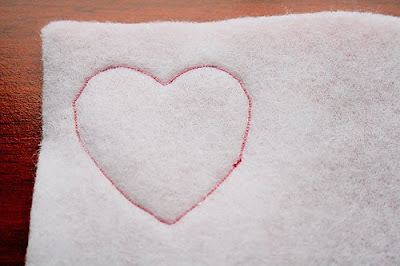 Using really small stitch length, sew right through the paper and felt layers. You may want a seperate needle for this because it may dull your needle. 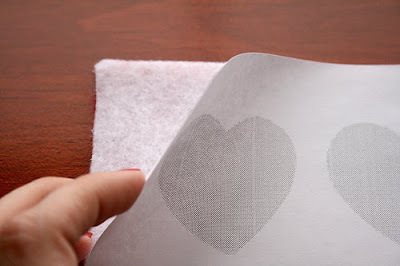 Once you have stitched closely around the shape, the paper peels off easily. I peeled up the outside first. The holes basically perforate it. Then the inside of the shape comes off. 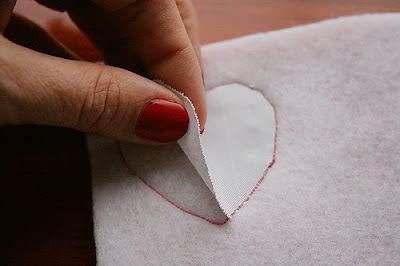 Voila, a sewn heart. It doesn't have to be perfect. 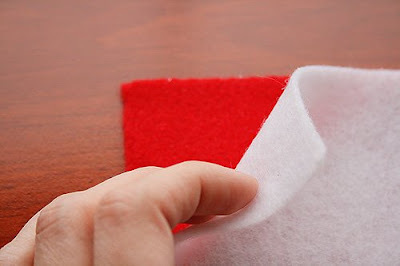 Carefully trim the outside of the white away. Make sure you don't cut through the back layer. 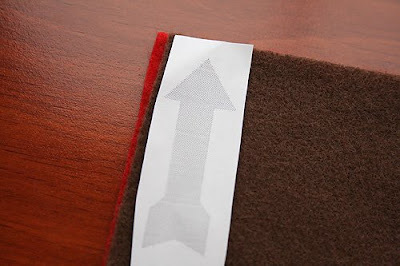 Trim as close to the seam as you can. 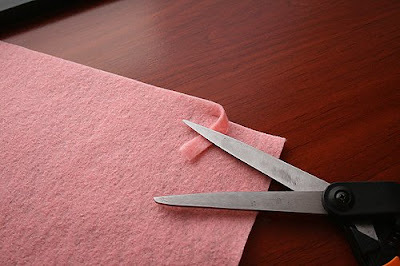 Now with pinking shears, leaving about another 1/4 inch, trim the red. I like the little extra detail the second layer with the cute edge makes. 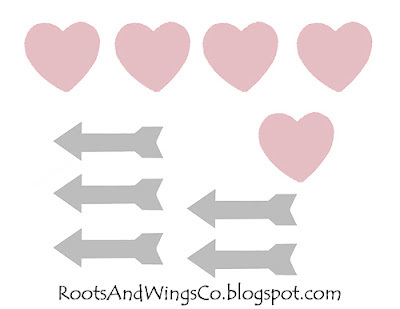 Follow these steps with all the hearts. Now make the arrows in the same way. This time I used red as the back, but brown as the front. 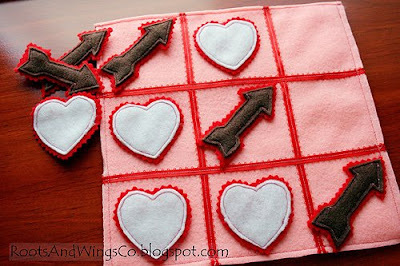 Layer on the individual template piece and sew around just as you did the hearts. On to the pocket and playing area. Since I planned on little hands using this, I wanted it to be self contained. 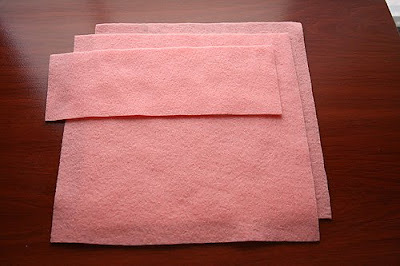 I started with two pink pieces of felt. I folded one piece to make a square. (Sorry I didn't take a picture of it.) Remember in school when you did this with paper? Same thing here. I made two square pieces and kept one of the top pieces for making a flap. Taking one of the squares, I folded it into thirds and pinned where the folds were. If you are a math genius like my youngest sister, I'm sure you would know the correct way to do this. I just moved it around until all three pieces were the same size. Mark these same points on all four sides. This is where you are going to sew the lines for the grid. 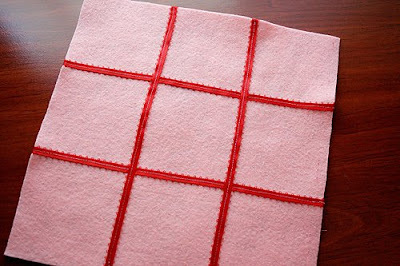 For the grid lines you could use ric rac or any kind of ribbon you would like. I had this little detailed ribbon that I thought would be perfect. Sew the trim pieces on where the pin markings were. 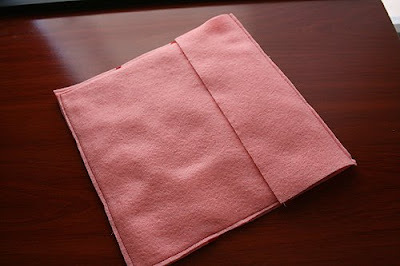 I carefully folded the edges around the back as I sewed them. I think it finishes it nicely. 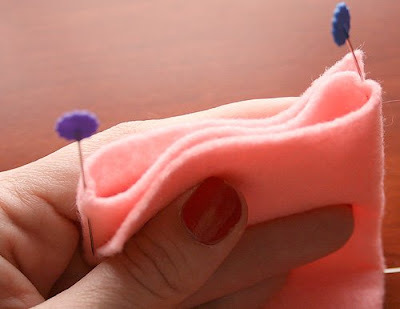 Sew the two sides of the pocket piece. Layer on the flap and sew just the seam along the top. Here it is all ready to be played with. Linked to Blue Cricket Design, My Frugal Family, and Fireflies and Jellybeans. This idea was so cute! I love it! Your tutorials are always awesome, too! 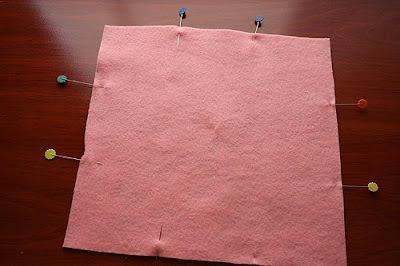 You've spoken of your sewing through the paper idea, but I never quite understood it until now. Brilliant! 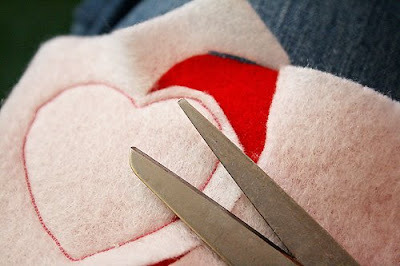 I also love sewing the double layer at the same time! So smart! The whole thing just turned out so nice! Wow this is really, really, cute! Maybe by next year I'll be good enough at sewing to be able to use my machine to sew in the shapes you need for the playing pieces. There's no way I can do it now, but I do soooo want to make this! 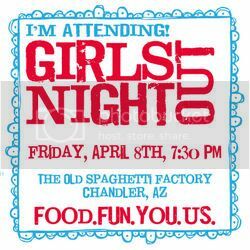 You girls have great ideas! That's an adorable set! I plan to make this next year when my son is 3. :) Thanks! Thank you so much for showing us! This really is adorable! I love it! I should get my hiney off the computer and make it. Oh, this is just adorable! I think this is going on the project list! Thanks for linking up with Talented Tuesdays at My Frugal Family! Now THAT is adorable! Thanks for sharing this one. Thank you so much for this tutorial! I just made one for my girls and I can't wait to give it to them! What a fun idea. 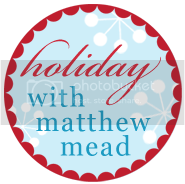 Would love to have you share this in my i heart crafts flickr group. I joined your group on flickr too! Of course I only made 2 for our teachers...we don't even have one!!! How cute is that? I can't wait to make one! Thanks for the tute!